It might be lost in the new console hubbub, but the PlayStation Vita exclusive Tearaway is still due out late next month. Developed by LittleBigPlanet creators Media Molecule, the strange adventure game has an interesting story, which the folks at MM delve into in the latest story trailer. We learn of iota and atoi, the mysterious protagonists with envelope shaped heads, and their quest to deliver the player some sort of information. Players themselves look down on the game world through its sun, which captures your face via one of the Vita’s cameras. The most interesting aspect, however, is how the studio describes the player as “playing alongside” the main characters, not necessarily as them. It’s not totally clear what this means, but what is clear is how great the game’s papercraft-style visuals look. 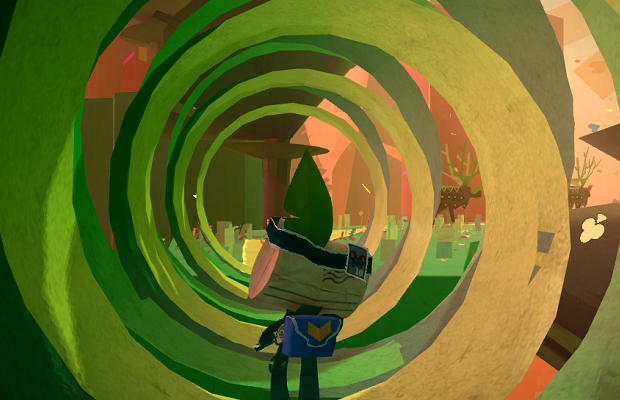 We can expect Tearaway on November 22.